Jennifer Foxworthy proudly served in the United States Navy for 21 years as a Chief Petty Officer (E-7). Now in her second career, Jennifer is excited about being a powerful motivational speaker. 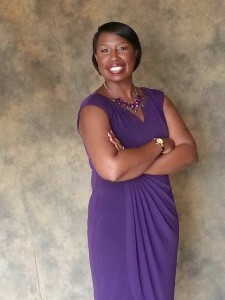 She is the Founder and Chief Executive Officer of Inspirationally Speaking, LLC as well as Founder of the Unstoppable You Women’s Conference. Jennifer is a published author of her book, Tomorrow My Sunshine Will Come: Memoirs of Women Who Survived Domestic Violence, a prolific blogger, and the host of her television show, Living Unshackled ON Purpose. In addition to all of that, Jennifer is a proud wife and mother. She is also living proof that dreams, passions and goals are obtainable if you trust in God, surround yourself with positive people, and put one foot in front of the other. In this episode Jennifer shares her journey to becoming a powerful motivational speaker and tips to help you get started down this path. Jennifer gained experience and confidence in public speaking throughout her naval career. When she decided that she wanted to pursue motivational speaking as her second career, Jennifer spoke her goal into the atmosphere and started telling people about it. She was introduced to Toastmasters, where she developed her public speaking skills and became a polished speaker. Although Jennifer did not have formal speaker training, she modeled her style after speakers whom she admired. She eventually learned how to craft her story in a way that kept her audience engaged. If you want to command a certain speaking fee, you have to perfect your craft, present well, and demonstrate why you should be hired out of all the speakers who can deliver a similar message. 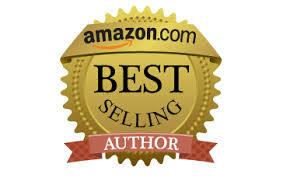 – Identify your target audience and develop your signature talk. – Create your mission statement and your vision. – Set a goal for the number of speaking engagements you want to deliver during the year. – Be prepared to speak for free when you’re just getting started. – As you gain more experience, you will increase your fees and/or adjust them according to your expenses. – Don’t be afraid to ask your clients if they have a budget. If they don’t have a budget, you can get creative and decide how to make that opportunity work for you. – Attend events and conferences where you can network with leaders and make new connections. 1. Do your research and decide how you’re going to step out as a speaker. Write your business plan after your research is complete. 2. Invest in professional marketing materials to help people remember you. 3. Network and get your name out there. Jennifer wrote this book to encourage people and let them know that they can survive domestic violence. 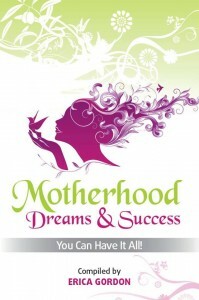 Get your copy of Jennifer’s book at http://inspirationallyspeaking.com. Jennifer is hosting her multi-location, Unstoppable You Conference. She created this conference to empower ALL women to take personal responsibility for aligning their mind, body, and soul. This event will provide an opportunity to network and uplift each other personally and professionally. March 26, 2016 – Charlotte, NC at Charlotte Training Academy, 10 am to 4:30 pm EST. Men, women and teens are welcome. April 30, 2016 – Waldorf, MD at St. Paul’s Episcopal Church, 12:30 – 5:30 pm EST. Women and teenage girls are welcome. For more information, contact Jennifer Foxworthy at Jennifer@inspirationallyspeaking.com.